Home / Blogs / Custom T Shirts For a Cause ! Custom T Shirts For a Cause ! One of the greatest privileges of life is having the opportunity to improve the lives of others. As a community, we must acknowledge the importance of giving back and fighting for a cause. A simple gesture, one donation, volunteering for a few hours, or even sharing valuable information can change someone’s life…for the better. By nature, humans tend to be disregard the privileges we have been blessed with while consistently being focused on our individual gains. We must take a moment and observe our surroundings, community, and others in dire need. We have to invest in a cause bigger than ourselves. T Shirts for a Cause is here to make giving back and raising awareness as simple as ever. Here at Hub92Prints we are excited to announce, “T Shirts for a Cause” ,our newest free feature within our website. This feature is exclusively for raising funds and awareness for non-profit organizations and/or individuals associated with a specific cause. Our mission is to provide non-profits or citizens needing a platform or an additional website to further promote their foundation. User have 100% control over their campaigns. 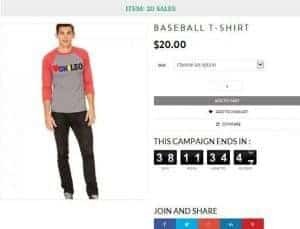 “T-Shirts for a Cause” is a platform where the user has a location for their supporters to congregate. Supporters will be able to purchase an inspirational tee, hilarious tank, or hoodie that showcases the organization’s brand. After the cost of the shirt, 100% of the profits go to the cause. Family raising funds to pay for heart surgery for their 20 day of son. We offer “T Shirts for a Cause” to make the process of raising funds that much easier for the user. The organization can use this feature as a central location for all the volunteers/member/family/friends to purchase their group shirts for an event/gathering. No longer will users have the burden to buy the supplies, shirts, and the cost of individual shipping prices. The process is simple. Describe the meaning behind your campaign, select how many days you want the campaign to last, and you pick the design(s)/quote/image you want on your tees/tanks/hoodies/baseball tees. We then create your individual campaign page and you promote the cause. “T Shirts for a Cause” is here for help change lives, empower citizens, and support families. We are here exclusively for you.